Our range of products include power supply units. We specialize in manufacturing various power supply units & systems and power distribution units as per the industry standards and customer’s specifications. 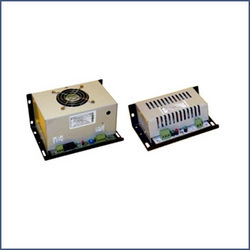 Our power supplies are also known as power pack, DC to DC converter and switch mode power supply. All our units have latest and modern current mode PWM controller. Use of MOSEFTs and UFR diodes increases the reliability and efficiency of our power supply unit. You can also call this product as power pack, dc to dc converter, switch mode power supply, etc.